For those with more Christian tastes, the so-called experts at Wikipedia have an article about Doughnut. A vehicle travels through the desert. A pair of eyebrows with a person attached underneath. She is named Lucinda. Or Jillian. Or Louise. Or Percephone. She has a name, anyway. She's listening to the radio. Sort of. She's got it tuned between two stations. Because the static is more interesting. She thinks perhaps of reading the newspaper. Checking up on the latest election coverage. Or just reading the funnies. This isn't the best time to be reading, she says. The static on the radio fluctuates a little, as if it agrees. It's night. Or perhaps it's day. She sees something in the sand by the side of the road. It is a solitary donut. Sitting alone in the desert heat. Cooked much longer than necessary. She thinks of taking home this donut. To keep her backseat clean. And to avoid the risks. Maybe the donut is infected. Maybe it's a terrorist in a very clever disguise. And so she drives on. Then she reaches a cliff where the road simply ends. Eyelids more attentive than usual. Static left behind on the edge of a cliff. A newspaper plastered to a dashboard. Clinging. As she rockets backwards, she sees donut. After donut. The road is lined with them. That the desert is full. FULL. 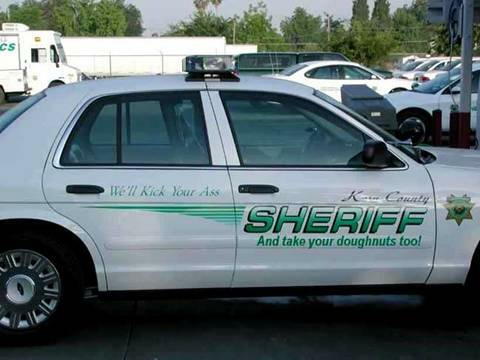 Of donuts. Is reflected in their dazzling sugar coating. She knows they are there. A vehicle says "never mind." A squishy vehicle travels through the desert. It's all a big circle. This page was last edited on 19 February 2014, at 00:09.